H.I.A.T. - Hey, I abandoned that! Due to the absence of posts in the past few months, some of you (the HIAT readers) asked me if I engaged into the ironic deed of abandoning the blog. Well, not that I ran out of places and thing to write about, but I got tired of posting the photos that are already out there, on the internet. Because of that, I struggled a bit and finally got myself a nice DSLR to go out and capture them myself, maybe even some of those that have not been captured before. This is one of the first sets I made with the new camera. I'm still learning the art of using a good camera, as I mainly worked with phone or cheap cameras until now, so don't expect to be amazed by the level of professionalism just yet. Haven't posted shipwrecks until now, for the main reason that people are pretty aware of their existence. They always fascinated me though, what's better than a huge steel machinery, left to rust and disintegrate at the hands of nature? Also fascinating is the fact that many shipwrecks even redefined history, cultures and media (the Titanic for example). Being that I live in a port city, which once based it's industry on the Danube, growing up I've seen a lot of shipwrecks, some of which were in a state of decay, similar to some of the photos in this post. 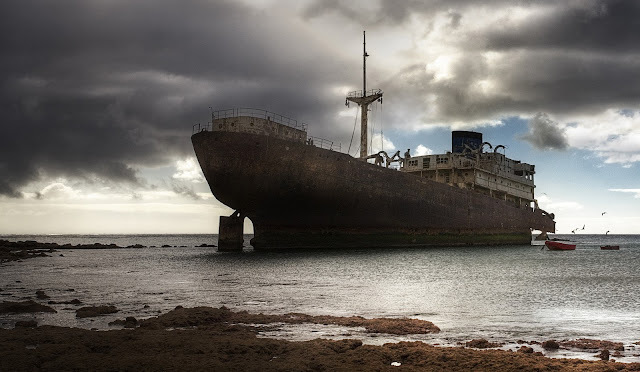 They were not left there due to an accident, like a rock or iceberg collision, but simply because they became "useless" once the industry went downhill, and they were just left there to rust. Most of them were sold at some point, as scrap metal, and there aren't many left these days. Being that I'm not into football and other such sports that involve balls and stadiums, these places were never significant to me. For me, a stadium, mainly a soccer or football stadium, is that place where people dressed in shorts and T-shirts, run around in circles with the purpose of touching a ball. That is not my kind of fun. But recently, I found some pictures on SkyscraperCity that really caught my attention. 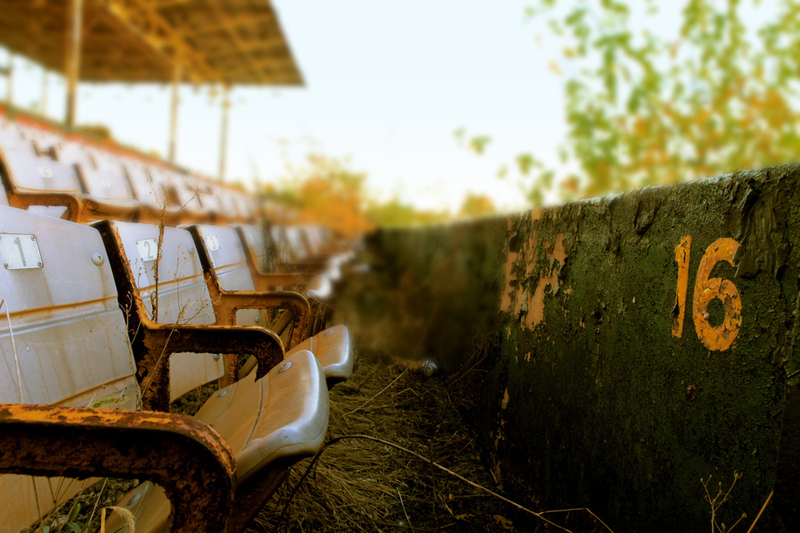 I'm of course talking about a collection of abandonments, abandoned stadium to be more exact, just like the title suggests. The following stadiums have nobody to run around in circles for the purpose of touching a ball anymore. They are ghostly and dusty. Weird how some things need to be abandoned in order for me to like them. Russia seems to host the largest amount of abandoned things, from factories, mines or apartment blocks, to cars or planes. 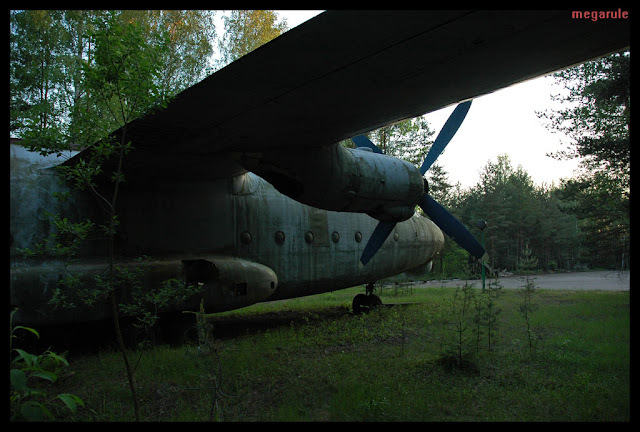 Same is the case with this beauty, an Antonov An-8 plane, which was lost in Russia, few kilometers north of Saint Petersburg. 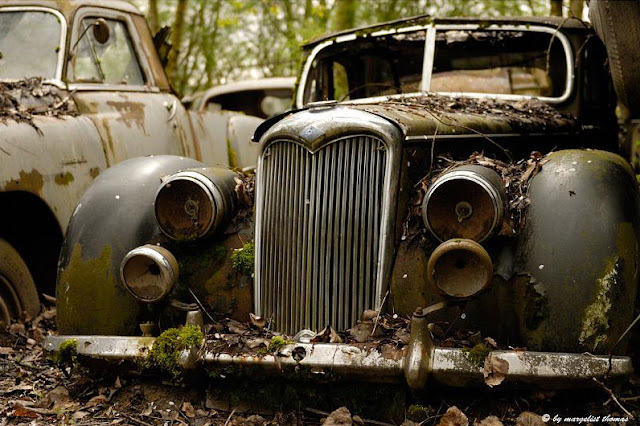 It's a beautiful model and it's decaying. I'm sure that being in a forest is not helping it decay less. The "Crimean Atomic Energy Station" (Ukrainian КримськаАЕС, Russian КрымскаяАЭС) is a nuclear power plant that was never completed, situated in the Republic of Crimea, Ukraine. It was intended to create energy for the whole area, but construction was terminated earlier than planned. Construction works on the nuclear plant were started back in 1976, when Crimea was part of the Soviet Union. The construction progress was very slow, lasting for more than 10 years. Shortly after the Chernobyl disaster, there was an inspection at the plant, which resulted in it being closed down, even before it got a chance to server it's purpose. This is how a new nuclear power plant was left behind, with equipment and everything. 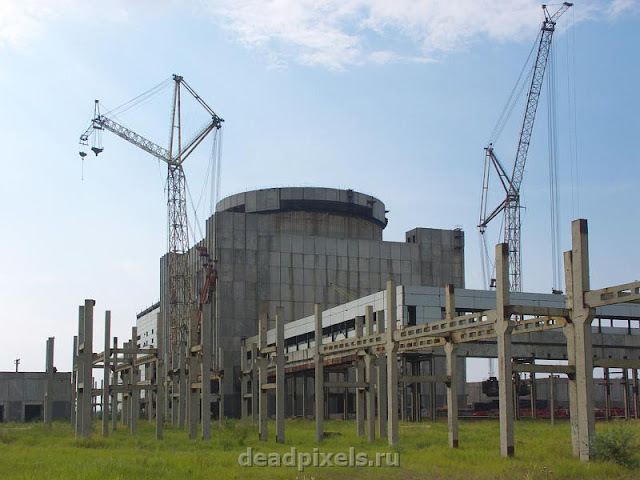 Some parts of the equipment and nuclear reactors were reused, however, at other nuclear plants in Ukraine. The nuclear power station building is also featured in the Guiness book of records as the most expensive reactor construction in history. The city of Shchelkino, that was created to host the workers, lost half of it's inhabitants when construction on the plant stopped.